Constantly pushing myself to find the limit... I haven't found it yet! 2018 was a real breakthrough year, finishing off with an incredible result of 2:25 at the Valencia Marathon. We also managed a podium place at the Geneva 20k, ran 52 minutes at the Great South Run 10 Mile, completed two 100 miles races as well as finishing my first mountain ultra trail event at the Verbier St Bernard! 2019 is going to be an incredibly exciting year, with many more marathons and ultras in the diary, as well as building up the YouTube channel to connect with runners all over the globe. I never stop dreaming about what's possible and I am determined to push myself above and beyond to see how far I can go! It’s great to have you on board for the journey! My first ever race, aged 18! Top 10 and first Brit in 2:36:48! 23 hours of running lay ahead! I first ran at school, finding solace on the cross country course. It was simply some time to myself a few times a week. I didn’t run in the athletics team, in fact I’ve never ran for a team in my life, I just enjoyed it and knew that one day I might be good at it. So I entered the London marathon ballot around my 18th birthday, got in, and caught the bug. That day I finished in 4:03, not too bad as I honestly had no idea what I was doing! Then between the ages of 18 and 31 I ran about 12 marathons, all in the 3:20-4 hour mark, nothing special, but running was only ever for fun during this period. Then in my early 30’s I had this need to try and get good at something, I couldn’t coast along being average all my life, so set out on a quest to read everything, teach myself, give myself a project to be the very best I could be. For all the kit, tech and nutrition that I’m currently using, please visit my Amazon store. You can view all the products I’m running with, see reviews and checkout the internets best prices. If you need some specific recommendations then get in touch via the contact page! My watch, gels and trainer recommendations are below! I’m currently using a Garmin Fenix 5 PLUS. The colour maps, Spotify integration, Garmin Pay along with the best GPS accuracy I’ve ever experienced make this the perfect package. I always pair it up with the Garmin HRM-RUN to get accurate heart rate data. The battery life is around 18 hours in GPS mode and I can charge it while running if need be. The perfect companion for roads or trails! I do use various gels from time to time, however the one that I feel performs to best is the Maurten gel. It is expensive, so I do train with some other varieties.. but come race day this is the one I’m reaching for. 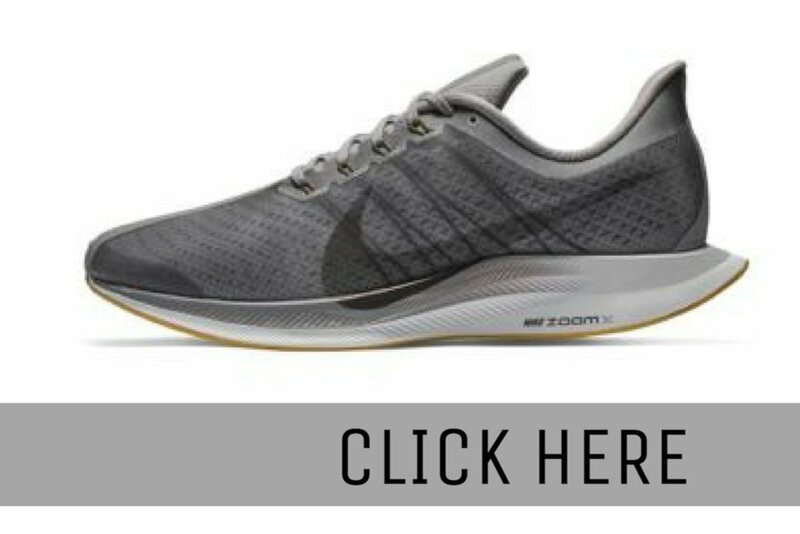 At the moment all my road miles are in the Nike Pegasus Turbo trainers and all my trail miles have been in the Hoka ONE ONE Speedgoat 2’s and 3’s. Hundreds and hundreds of trouble free, comfortable, responsible and fast miles in both. Love these shoes! I'm a vegetarian and try to stick to a plant based diet. I'm never one to preach, so I always say to whoever asks to do your own research and find what works for you. For me being this way has little to do with running and all to do with animal welfare, but the more I read about the running related benefits it makes so much sense as well. I try and focus my diet around unprocessed plant based foods in their simplest form. I tend to eat lots of pasta, brown rice, oats, beans, lentils, seeds, leafy greens, fruit, avocados, olives, milk and every vegetable under the sun! Because I run so much, most of my diet is made up of carbohydrates and in the few days leading up to a marathon this will increase to get the body full of glycogen to burn for the race! I also make a conscious effort to eat and drink when I get back from a run for recovery purposes. Usually just a shake and then a proper meal an hour or so after.